With the clock running out, local Operatives are consumed with March Madness. That all-consuming madness, of course, is not for the Consolidated Election next Tuesday -- which none of the voters know about, and even fewer will be voting in. No, Operatives are consumed over their brackets. 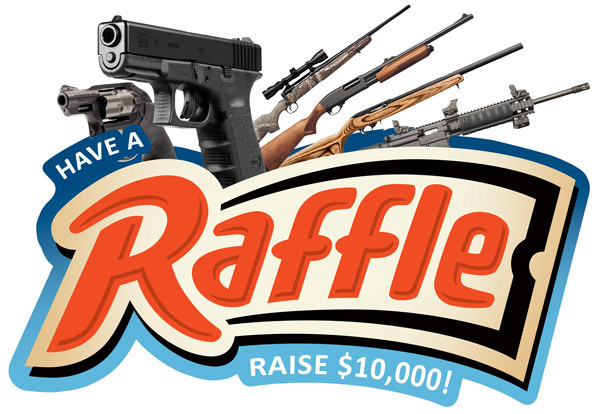 They have to predict which city will host the Lake County GOP Gun Raffle & Picnic this year. Every year the Lake County Republican Party throws a fundraiser, giving away assault weapons as raffle prizes. Where will the GOP Gun Raffle be this year? Next up for bracketologists: What kind of assault weapon will the Lake County GOP be raffling off? AR-15? AK-47? Uzi? MAC-11? Or a Bracket Buster?